Three teams of Westholme students entered our local school’s group competition on Friday 15th March, for the annual BAE Rotary Technology Tournament held at The Hollins Technology College, Accrington. 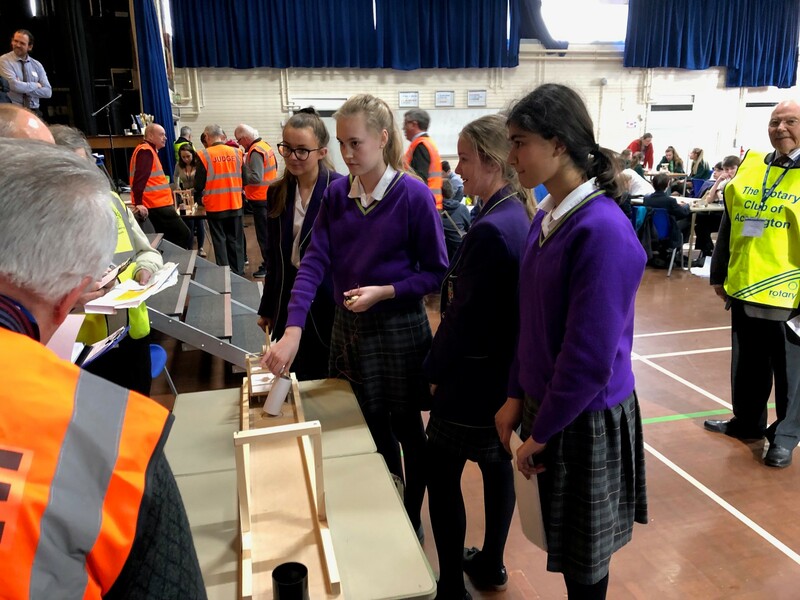 This year’s challenge was particularly difficult: to build a recovery vehicle capable of lifting a cylindrical weight, and transport it back to the starting position. To further add to difficulty, the lifting height was restricted by a bridge which the vehicle and its cargo had to travel under. 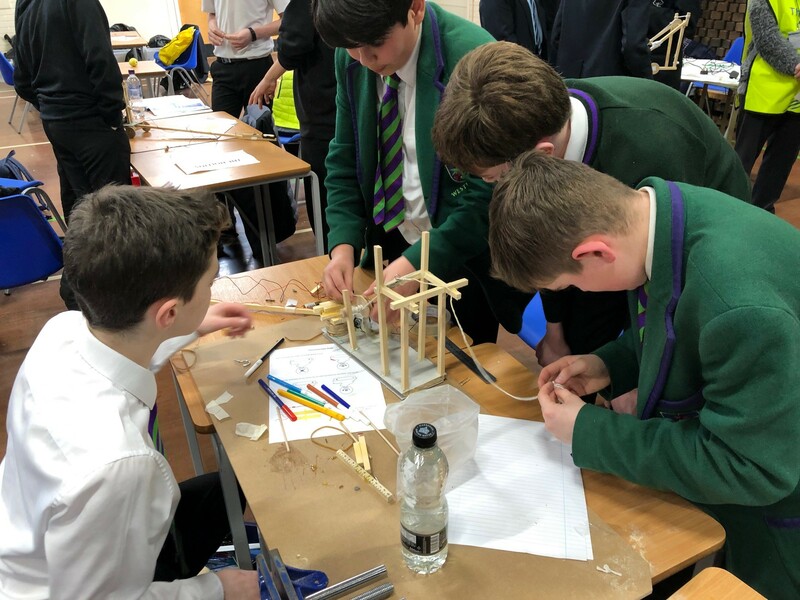 Upon opening their instruction packs, students received the usual array of timber strips, screws, dowel and string. 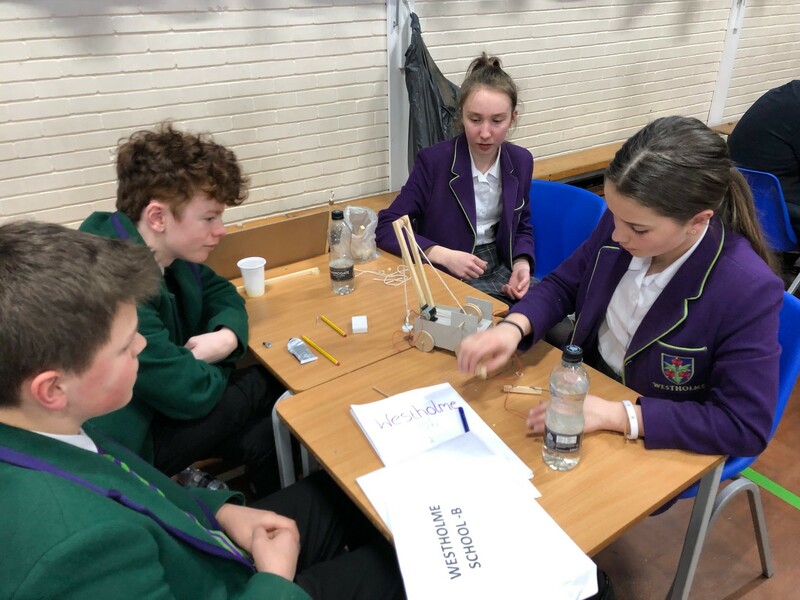 Added to this year’s materials was a small electric motor and battery pack, with the stipulation that it must be used to power the lifting mechanism. 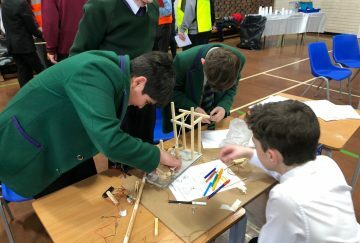 Teams also had to fabricate a reversing switch from card, drawing pins and wires, to change the direction of their lifting mechanism. Part of the morning session was spent designing, as all teams were assessed on the quality of their design portfolio. 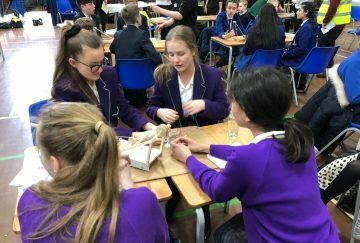 The rest of the time was spent manufacturing, with many students opting to work through their lunch break. 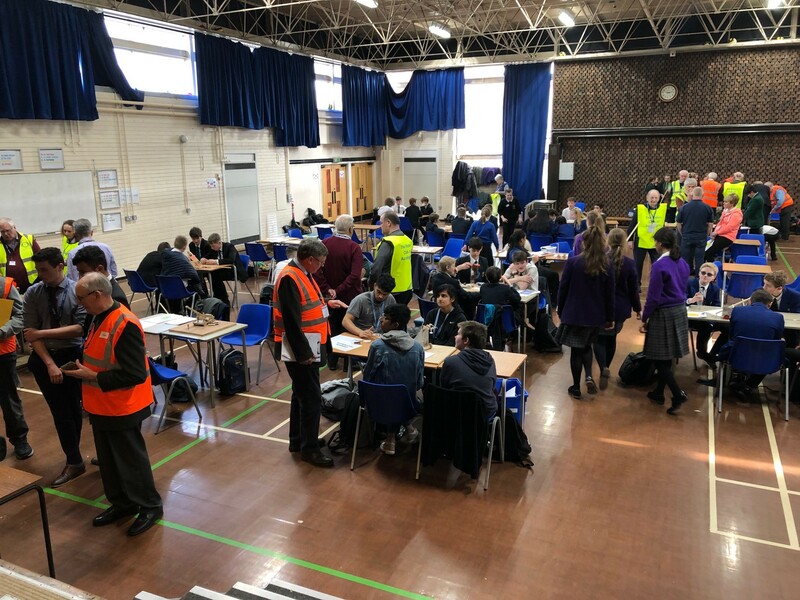 Just one hour was available in the afternoon to finish off, with teams frequently testing their devices on a number of test rigs positioned around the hall. 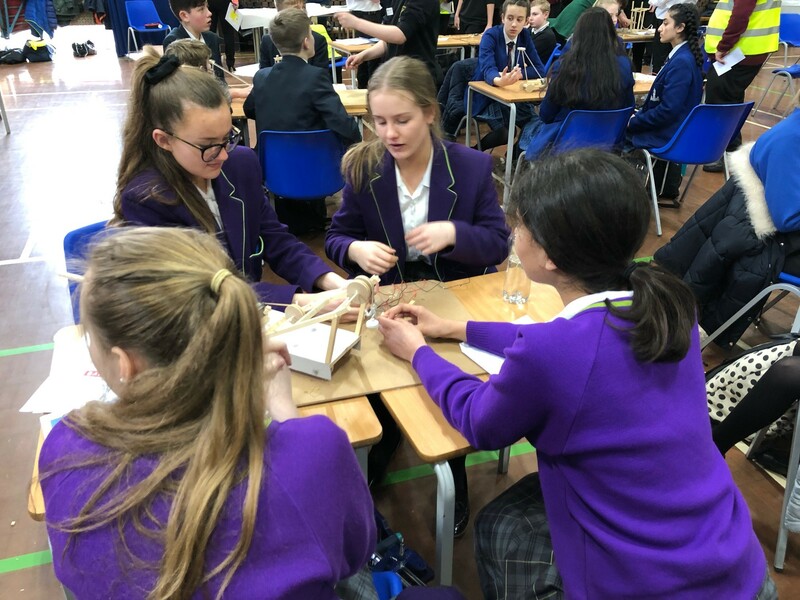 Whilst our Key Stage 4 team members (Isabelle, Madinah, Lucy and Charlotte) built a solid vehicle, a lose wire proved to be their undoing during the final testing as their winch failed to lift properly. A real pity, given that they achieved all the other objectives. 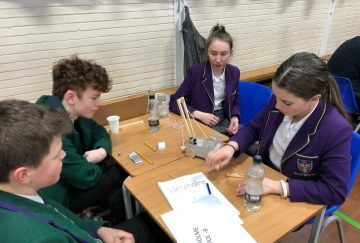 One of our Key Stage 3 teams comprising Daniel, Amy, Hollie and Ben performed very well indeed, achieving enough points for joint second place. 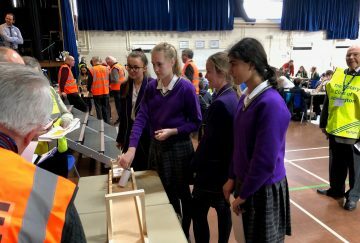 They narrowly missed out however, due to being beaten by a faster time. 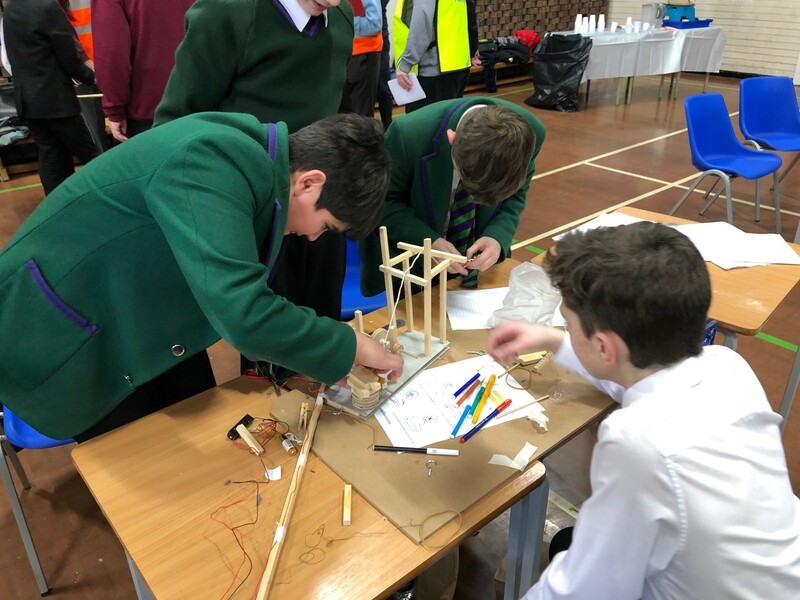 Our other Key Stage 3 team (George, Edward, Nathaniel and George) only just made it to the final testing stage, with a number of last minute repairs carried out whilst waiting in line! 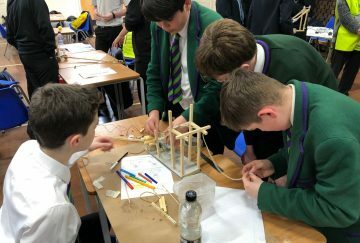 Our students really enjoyed this year’s competition and clearly benefitted from the experience. 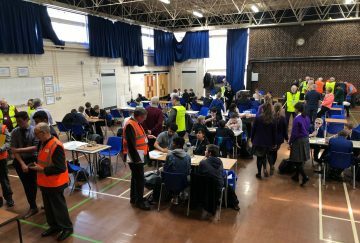 As always, the event was very well organised and supported by The Rotary Club, with many of their members assisting throughout the day. We will certainly be back for next year’s challenge!